It seems Australia’s greenhouse gas emission reduction targets more than tripled on the weekend, from a 5 per cent cut by 2020 to a reduction of more than 18 per cent. Surprised? The Abbott Government might be too. 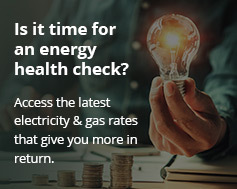 “As of midnight May 31, the Clean Energy Act 2011 passed by the Gillard government sets a default target that is more than triple the previous 5 per cent goal. The gotcha has caused quite a stir and appears to have caught the Government with its budgie-smugglers down. Mr. Morris says that by allowing the new 18% reduction target engage by default makes the government “look clumsy at best and incapable at worst”; as there are significant potential consequences. The Australian government has come under increasing pressure to maintain a price on pollution after the recent announcement by the US Government to set a greenhouse gas emissions reduction target of 30 percent by 2030 for the USA’s power generation sector. “Tony Abbott can no longer claim that the rest of the world is not acting. The Chinese are acting, the Europeans have acted, and now the US is coming out strongly to reduce carbon pollution,” said Greens leader, Senator Christine Milne.